Oval base measures 4" x 5"; total height 16"
For instance, our Stack of Skulls Candelabra is a bit more macabre than your typical candelabra. 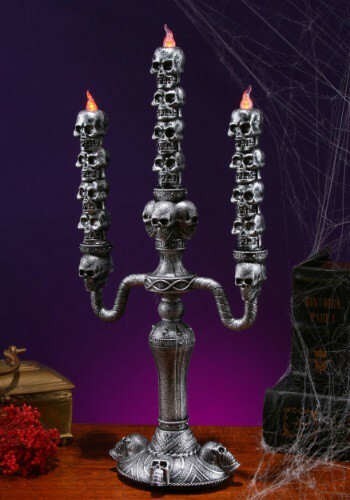 It's about 26" tall, with three candles and LED flames. Each candle is shaped into stacks of skulls and the skull motif is used over the rest of the candelabra as well. 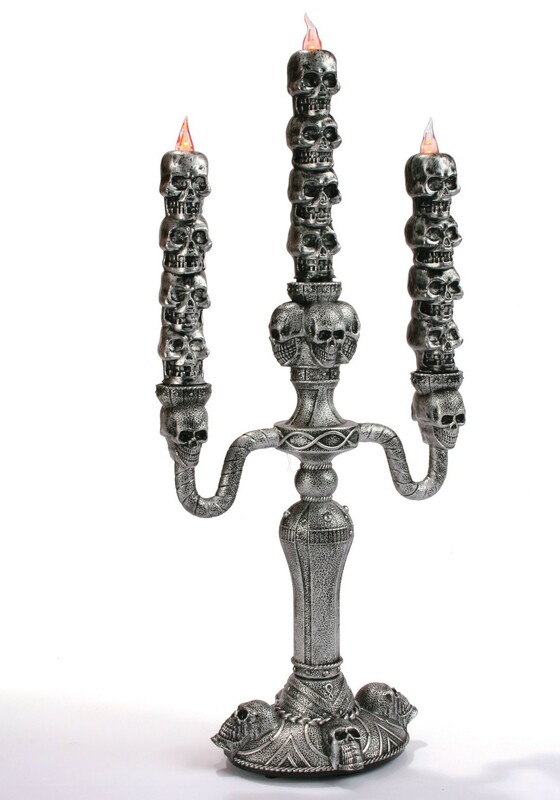 It'll easily add a bit of mood lighting to your room while looking gorgeously Gothic and macabre. We thought you'd appreciate.